Are you unemployed but want to keep your resume fresh? Are you retired and would like to give back to those in need? Are you just longing to help others? Are you trying to gain experience in health care or an administrative role? 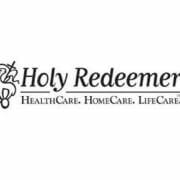 Volunteer with the Holy Redeemer and help those who are in the final stage of their life. We have patient visitation volunteering, family outreach, and office administrative opportunities from our Runnemede location. We serve the following counties: Camden, Gloucester, Atlantic, Salem, Cumberland, and Burlington which allows us to be flexible with our helping hands. If this rewarding opportunity is something you would like to be a part of, contact the Volunteer Coordinator today for more information! Patient care volunteers - provide emotional support and practical assistance that enhances the comfort and quality of life for patients and family/caregivers. These services include being available for companionship/ emotional support, reading to patients, listening, simply "being there," life review and legacy work, and preparing a light meal or snack. Patient care volunteers may also offer caregiver respite and practical support by assisting with errands or the transportation and other support often needed by hospice patients and caregivers. These duties may include picking up supplies, light housekeeping, or grocery shopping. Eleventh Hour/ Vigil Volunteers- patient care volunteers may also serve in the role of Vigil Volunteers after attending additional training. Eleventh hour volunteers maintain a bedside presence to the actively dying and their families. Pet Therapy Volunteers- the pet therapy volunteer works directly with patients, families, and the community by offering support through pet visitation in a patient’s home, long term care facility, or in a hospice inpatient setting.